Published on Jul 16, 2018 at 12:31 pm in News, Events. Written by Ryan Raplee. 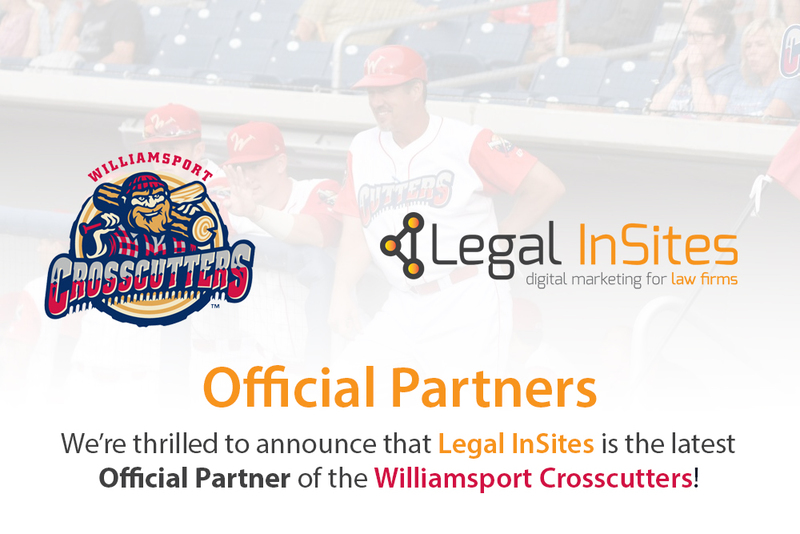 In Williamsport, PA, where the HQ of Legal InSites is located, we look forward to the middle of August. It’s the one time of year the entire world looks upon our little slice of America we’re so fortunate to call home. The best 10 to 12-year-old kids from every walk of life take to the field and compete in the Little League World Series. Along with the LLWS comes thousands of kids and adults alike who collect and trade collector pins. It’s a tradition that goes back decades and seems to get bigger every year. The culture and popularity of pin trading during the LLWS has become so large, some of the pin manufacturing companies rent out large rooms in area hotels for the duration of the series and designate them as “Pin Trading Rooms”. We’re excited to announce that starting this year, Legal InSites will be offering an annual baseball trading pin to collectors! Our pin design includes some of the staples you’d expect to see in a great local business pin – year, district, logo, and a slogan as powerful in business as it is in baseball. Benefiting: All proceeds from the sale of these pins will go to the Williamsport American Rescue Workers! “Since 1934, American Rescue Workers- Williamsport has operated; preaching the Gospel while undertaking the duty of uplifting the destitute and providing emergency assistance to any person in need.” They do an incredible job helping our community in a huge way through emergency shelters, social services, and local food assistance. Purchasing Location: Please check our Facebook and this post for the latest details. We’re planning on having a table setup in downtown Williamsport during the Little League Parade and Williamsport Welcomes the World. Our CEO is also a pin fanatic and will have pins for sale with him while trading pins at one of the Pin Trading Rooms during the series. I’d like to thank Infinity Pins for doing an excellent job taking our design to production and delivering us an awesome pin to share with collectors! There are many local businesses in the Williamsport area that will create a pin for collectors to purchase during the series. We’ll attempt to keep an updated list here with as many of the pins available as we hear about them. If you hear of a pin that’s not currently on the list, please email ryan[@]legalinsites[dot]com with the business name, price, location, and any other details you know so we can get it added. I’d like to note that the pin community has an excellent group on Facebook. If you find yourself really getting into pin collecting, please come join us! Purchasing Location: Email Andrew.Paulhamus[at]us.deltagalil[dot]com to get information on the latest meetup to purchase the pin. You can also look for him in the pin trading rooms! ARC Heating and Services Co. Benefiting: Proceeds will be used to help our organization and program partners fight for the health, education and financial stability of every person in every community in Lycoming, Sullivan and Tioga Counties. Purchasing Location: These pins will be available at various locations during the series including the pin trading rooms most evenings. You can message or call D&W Disposal on their Facebook page here. Purchasing Location: These pins will be available at various locations during the series including the pin trading rooms most evenings. We’ll include the exact locations, dates, and times as they become available.